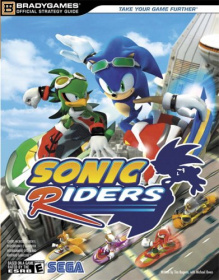 The US BradyGames strategy guide for Sonic Riders for the GameCube, PlayStation 2, Xbox, and PC. As there are some unlockables in the game a strategy guide could prove useful for some players. This page was last edited on 11 October 2018, at 09:22.